$2.09 to $68.99 & FREE Shipping on orders over $59 $35. 413-450L Weyermann® - A German dark de-husked malt for authentic German dark Lagers such as Dunkles and Schwarzbiers. Can also be used and experimented with in other styles where a more mellow roasted grain flavor is desired. Carafa® is very similar to a debittered black malt. To add color while not changing the taste very much. Used for a Vienna Lager. Nice profile. Use when you want to add color without all the dark malt character to any beer. I used it for a black india pale lager. Works great for color, flavor and body. gives you great colour without astringency. Highly recommended for Black IPA and perhaps Robust porter or other browns. This is my favorite color malt. I use it for all styles where I'm trying to reach a certain srm. It's great for all styles because the flavor contribution is minimal. This is a great way to get a darker beer without adding as much bitterness and burnt flavors like you get with black patent or black roasted barley. Of course it is always fresh when I buy it from MoreBeer. I bought way too much of this a few years ago, but have been using it in some of my darker ales, especially when I run out of chocolate. It doesn't give the same flavor as chocolate malt, but does provide a little flavor, and a lot of color. I've used it in brown ales, porters, and stouts, all to good effect. Adds nice color, a little roast flavor, no burnt or acid flavors. Great in a milk stout. Great for that color without the bitterness. Big fan of this malt for adding darker color to any beer. I use it in my stouts and some darker Belgian ales because it can lend a licorice like flavor that work perfectly with those styles of beers without any harsh astringency. 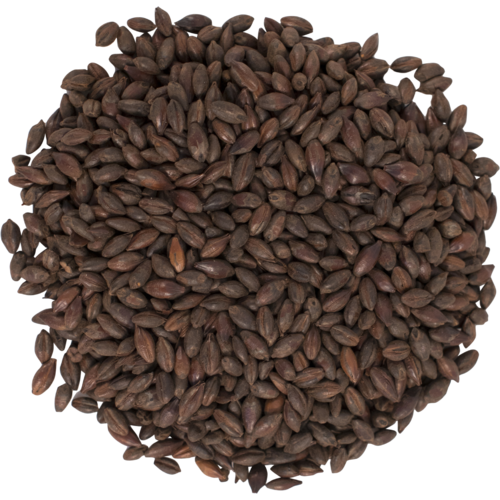 A few ounces of this dark roasted malt can adjust the color of a beer by several SRM points without changing the flavor. In larger quantities, it imparts a hint of chocolate character. 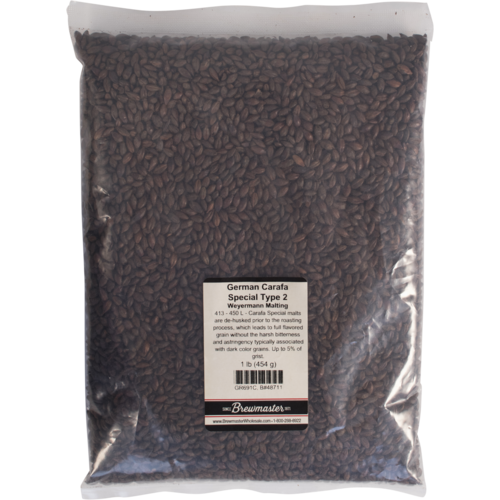 The "Special" is importantit indicates the malt has been dehusked, resulting in a smoother, less roasty character. Many brewers have taken to steeping dark malts or adding them only to the sparge to get color without roastiness. But given my highly alkaline water, it's nice to be able to add a dark malt like this to my mash and lower the pH without imparting much flavor and aroma. Great malt for color and head. Not as bitter as the darker malts, like black patent. no places that i know of in the area sells carafa III. i didn't want to spend money on shipping an order of 1 lb. of III. so used this instead but with a little bit more to make up for the color.